There are currently two popular streaming devices in the market: Amazon Fire Stick and Google Chromecast. This article compares Fire Stick vs Chromecast in order to differentiate the two and shows you the pros and cons of using a Fire Stick and a Chromecast streaming device. Fire Stick is from Amazon, the online shopping site. This streaming device is plug and play which means you simply plug it in an available USB port at the back of your HDTV and you are good to go. Fire Stick streams apps to your Fire TV or HDTV and just some of the popular apps available are Hulu, Netflix, NBC, HBO Now, ESPN and more. Chromecast is from Google and is pretty much like the Fire Stick when it comes to function but it looks differently like a Firestick device. In comparing Fire Stick vs Chromecast, the regular Chromecast device looks like a round cap and uses a special USB cord to attach to the back of an HDTV, whereas a Fire Stick looks like a removable USB thumb drive. Chromecast also streams content from different apps and also supports Hulu, Netflix and HBO plus sports, games and music apps as well. Fire Stick allows you to stream content from popular apps plus you can add Kodi to get more addons for your TV. Chromecast does not support Kodi. The only way to get programming is to choose the app that you want through a list of supported apps. Therefore there are a few choices in Chromecast as opposed to Fire Stick devices. FireStick supports Kodi (unofficially, but very very well). This is the biggest factor to take away from this Fire Stick vs Chromecast comparison: FireStick supports Kodi. On the other hand, Chromecast does not support Kodi. So you won’t be using great TV Addons like Exodus on Chromecast – it simply does not have the capability. 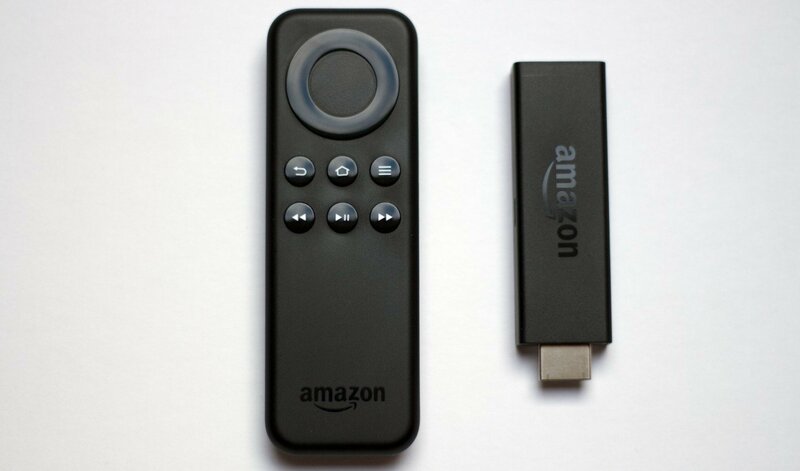 Fire Stick is available with an Alexa remote or a non- Alexa remote. But with or without the Amazon voice assistant you can easily access programming and control your TV with a Fire Stick remote. A remote offers standard navigation controls and even uses Bluetooth to control your Fire TV Stick no matter where you are in a room. Fire Stick comes with a hand-held remote control! Chromecast does not come with a remote control – so you must control Chrome cast using your phone or PC. Take care of your Alexa voice control remote since Amazon only offers non voice control remotes as replacement. This costs $14.99 online. Chromecast is controlled using any Android device, phone, tablet or with a laptop or PC. The user has to download the Chromecast app and sign in using his Google account. Once he is in, he will get a code from the Chromecast app found on the TV to place in his device and to control Chromecast as a guest. Using your device, access any app with a video you want to view. Locate the Chromecast icon on the top of the video to cast the video from your device to the TV screen. You may also mirror what you are currently doing on your device to your TV using Chromecast. If you get a Fire Stick with Alexa Voice Remote, you can search for movies using voice commands. Unfortunately you’re not able to search Kodi using Alexa (yet). Chromecast does not support voice commands at all, since there is no official remote control for Google Chromecast. With the Alexa voice remote you can also ask simple questions and inquiries like channel lineups, program schedules, bus schedules, train schedules, the nearest McDonalds and more. Alexa is your instant access to Amazon Prime for great products, music, movies, books, downloadable content and more. Google Chromecast does not have a personal voice assistant, yet. It can only be accessed through an Android device. There is no need to worry about remote repairs and replacements since there is no remote needed for Chromecast. Repairs and troubleshooting of a Chromecast device is usually addressed by contacting the supplier or shop where the device was purchased. Fire Stick is hands-down better than Chromecast. Chromecast was more or less an “experiment” by Google to see if they could sell the things. Then Amazon came along and blew the Chromecast out of the water with their more-than-capable Amazon FireStick. Enjoy Kodi! Install Kodi on Fire Stick now. Fire Stick vs Chromecast: BIGGEST DIFFERENCE - Fire Stick allows you to stream content from popular apps plus Kodi. Chromecast does not support Kodi.